I feel exactly the same way when I write. His words resonate strongly with me. It's always exciting and wonderfully puzzling when you write better than you can! "For a long time now I have tried to write the best I can. Sometimes I have luck and write better than I can." 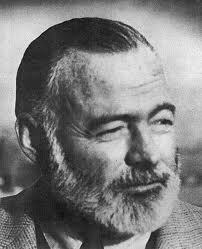 Ernest Hemingway. I agree. One of the most honest, too!